Welcome to the 474th Edition of my series. Tonight is a very good night in Muncie. The best karaoke dj Craig is returning to Valhalla after a few months tonight and I could not be more excited. I hope everyone is having a good holiday season. I will now get to my selections for the week. 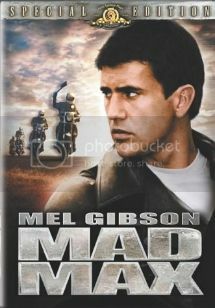 Mad Max (1979): I start the week out with this low-budget classic which made Med Gibson a big name in the acting world. George Miller directed and co-wrote this film which takes place in an apocalyptic future in the Australian wastelands. Gibson stars as Max Rockatansky who has a good life as a cop with a wife and child but becomes judge, jury, and executioner when he is targeted and loses his wife and child. This movie's low-budget works very well with the script, performances, and the cinematography. This is the start to a big career for Mel Gibson who does a great job as the title character. I know Mel Gibson has said some strange things and can be quite unlikable in the media but try to put feelings aside for this one and just watch a great film. This is available on Instant Netflix. 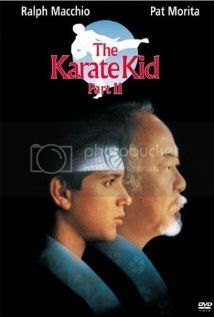 The Karate Kid, Part II (1986): This is the sequel from the 1984 hit where Daniel, reprised by Ralph Macchio, accompanies his mentor Mr. Miyagi, played by Pat Morita, who returns to Japan to visit his dying father. In Japan, Miyagi begins to reconnect with an old flame and also must face a rival from years ago. Daniel ends up in the middle and makes an enemy of his own in the meantime. This is a good sequel and in some ways liked it better than the first one as I thought this one had better messages. I don't want to go further on things that I could give away. This is available on Instant Netflix. 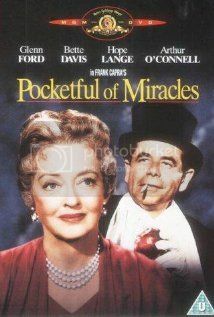 Pocketful of Miracles (1961): This is one of my holiday selections for the week and directed by Frank Capra. This is kind of a variation of MY FAIR LADY where Bette Davis stars as a street beggar named Apple Annie. Glenn Ford stars as gangster Dave the Dude who along with his girlfriend Queenie, played by Hope Lange, and turn her into a society woman before Annie's daughter comes to town. Arthur O'Connell, Peter Falk, Thomas Mitchell, Sheldon Leonard, Ann-Margret, and many others co-star in this film. Bette Davis does well in her rare comedic role. It could be could to do a Capra double feature for the holidays with this one and IT'S A WONDERFUL LIFE. Both of them do well in their own ways. 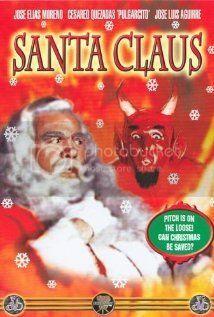 Santa Claus (1959): This is my holiday b-movie selection for the week which I got to see at the movie theaters and presented by Rifftrax. I believe this was shot in Mexico and go over a few key points that I learned about Santa Claus is that he actually lives in some other planet which I believe was over the North Pole. He also had children from around the world that worked for him instead of elves. The beginning was having each country sing some annoying song and the children so not seem very excited or happy. We also learn that Santa and Satan are enemies and Satan sends down his minion Pitch, who loves to dance, to stop Santa from delivering gifts. If Pitch in unsuccessful, he must eat ice cream as punishment. To add to that, evidently king Arthur outgrew Merlin since now Merlin works for Santa in making potions. This is quite possibly the most bizarre movie I have seen. I first saw it years ago when I found it on TCM so I recorded it out of curiosity. I'm watching it and at every turn I am thinking "WTF" but yet I could not take my eyes off it. This was a good experience and a great selection for Rifftrax. The Wolf of Wall Street (2013): Martin Scorsese directed this film based on the autobiography by Jordan Belfort. Leonardo DiCaprio plays the part of Belfort which starts from the beginnings to his rise as a stockbroker where he is learning through Mark Hanna, played by Matthew McConaughey, who pretty much teaches him corrupt methods but then it goes out of business. 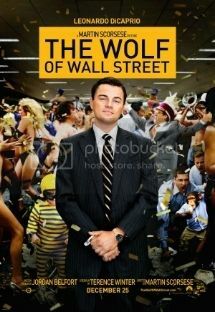 Belfort soon finds himself in a penny stockbroker job where the biggest rise and scam happens. He meets Donnie Azoff, played by Jonah Hill, and forms the Stratford-Oakmont brokerage firm turning just about all walks of life into greedy stockbrokers. In the attention he is getting, he is also being investigated by the FBI and looks for ways to cover his tracks. It also shows his downfall into the world of drugs. Margot Robbie, Kyle Chandler, Rob Reiner, Jon Favreau, Jean Dujardin, Joanna Lumley, Christine Ebersole, P.J. Byrne, Ethan Suplee, Jake Hoffman, and many others co-star in this film. The real Jordan Belfort has a bit part and was on hand to coach DiCaprio on his behavior. This is a really good film showing American excess for a lack of a better phrase. 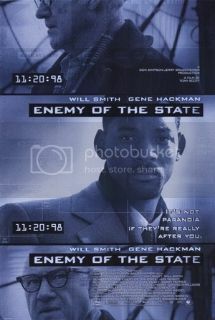 Enemy of the State (1998): Tony Scott directed this action film and holiday film unbeknownst to me at the time. Will Smith stars as Washington D.C. attorney Robert Dean who ends up with information on a murder that was politically motivated and lead by Congressman Thomas Reynolds, played by Jon Voight, and becomes targeted by Reynolds. Coming to his aid is former spy Edward Lyle, played by Gene Hackman, who teams with Dean to bring down Reynolds. Lisa Bonet, Regina King, Stuart Wilson, Barry Pepper, Ian Hart, Scott Caan, Jake Busey, Jason Lee, Gabriel Byrne, James Le Gros, Jack Black, Jamie Kennedy, Lillo Brancato, Seth Green, Philip Baker Hall, Jason Robarts, Tom Sizemore, and many others co-star in this action film. This movie might be relevant for today in its talk about government surveillance which is what we have been more concerned than ever about. It also has some really good action scenes. In some ways, this was Will Smith's transition into a more serious role after years of doing comedy. This is a pretty fun action film but has a pretty good message at the same time. Yellowstone Park: 'Nature's Playground' (1936): This is my short film for the week which is part of the Traveltalks series. 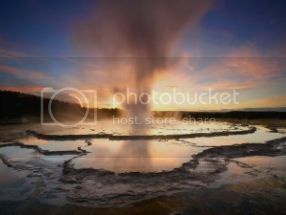 This if you have not guessed focuses on the famed national park in Wyoming. This takes a look at the beautiful waterfalls, grizzly bears, and the Old Faithful geyser. This has some really good scenery and was worth a few minutes to check out. The Housemaid (2010): This is my Korean film for the week. A couple weeks ago during my all foreign language 9 year anniversary, I included the 1960 version of this film which is also Korean and was ranks up there as one of the most disturbing films I have seen. I decided to check out this remake. A young woman named Eun-Yi is the title character who becomes nanny for a wealthy family and the wife is expecting twins. She is soon seduced by the husband and the family tries to sabotage her. In the beginning, the housemaid was more conniving and in this one, she is provoked by the manipulative family. This version loses its creepy feel in my opinion but is still rather compelling with an interesting ending. In this version, I thought the housemaid was more of the protagonist. This is available on Instant Netflix. 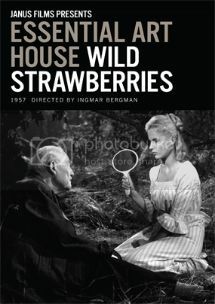 Wild Strawberries (1957): Ingmar Bergman wrote and directed this Swedish film and I have always regarded this as my favorite Bergman. Victor Sjostrom stars as Dr. Isak Borg who has won an honorary degree. Through the years Dr. Borg has become very cold and shut off from the world. He decides to drive and along for the ride is his daughter in law Marianne, played by Ingrid Thulin, where they get very candid with each other along the drive. Also along the drive, he picks up others and begins to rethink his decisions he has made through flashbacks. Max Von Sydow has a small part in the film. Bergman does great with the road movie genre and is a pretty moving story on looking back on the moments missed. 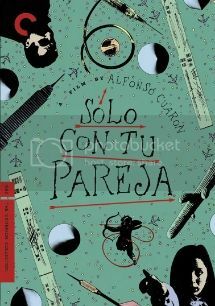 Solo Con Tu Pareja (1991): I end with this early Alfonso Cuaron comedy from Mexico. I decided to use my process again where I come up with 20 selections that I believe fit the mold and get an FB friend to choose a number. The first selection chose did not end up fitting into this one but will go into next one so I turned to my friend the Sly Fox to choose another number which resulted into this foreign language film. Daniel Gimenez Cacho stars as Tomas Tomas who is a yuppie and womanizer and angered a nurse named Silvia with his womanizing ways so as payback she says that he has HIV giving him quite a scare. This makes Tomas look for a quick death in his belief that he is dying and in the process falls in love with Clarisa who is a stewardess and is also suicidal for other reasons. Cuaron makes his directorial debut and was the start of things to come. He did not go onto do as much in comedy but this delivers some pretty good laughs like a scene involving a microwave. This is available on Instant Netflix. Well, that is it for this week. Tell me what you like and dislike. Stay tuned for next week.